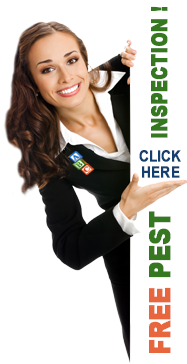 Temple Terrace Pest Control, Termite Inspector, and Exterminator | ABC Pest Control Inc.
Are you looking for Pest Control, Termite Inspection, or Exterminator in Temple Terrace, Florida? ABC Pest Control is a fully licensed and insured pest control company specializing in pest control services, termite inspection termite treatment, termite control, and extermination of unwanted bugs and pest from your home in Temple Terrace, Florida. We provide Free Consultation to home-owners living in Temple Terrace, Florida area. Our friendly staff of professional pest control exterminators and technicians will meet with you to assist you with any questions you may have as well as provide you with assistance in choosing the best pest control service that suits your home or business. From free in-home pest consultation to professional pest services, from our free no obligation termite inspections to custom termite treatment and termite control, from friendly customer service to affordable pest extermination and control within a budget, no matter the bug or pest you need to get rid of, you can always count on ABC Pest Control to provide you with the very best pest control service, termite treatment, and professional extermination of any and all unwanted bugs and pests in your home or business in the Temple Terrace, Florida area. Whether you want to create a safer more healthy environment for you and your family, or you are looking for the best pest control company in Temple Terrace, Florida. ABC Pest Control has an affordable solution for you and will create a custom bug and pest treatment plan for you and your home or commercial business. 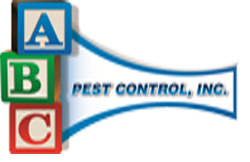 ABC Pest Control is a locally owned and operated company servicing Temple Terrace, Florida. We are the leading provider of pest control and termite treatment in Temple Terrace, Florida area. We offer the very best in high-quality pest control products, professional pest control service, and offer absolutely the very best in customer satisfaction.